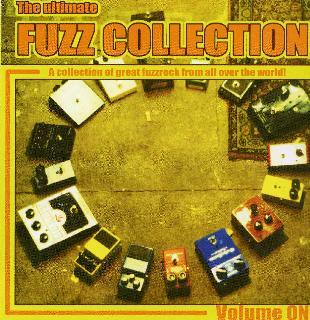 Various Artists - "The Ultimate Fuzz Collection"
What an amazing collection of stuff on this CD. A lot of Kyuss inspired riffing stuff but some stand out tracks and unreleased songs as well, although most of the material has appeared elsewhere. While the label is based in Sweden, and most of the bands are Swedish (Dozer, Truckfighters, Astroqueen, Firestone, Greenleaf, Freedom Bleeder), bands from the US like Brant Bjork, Mezzanine, Spiritu, Argentinia (Los Natas) and Norway (WE) and Finland (Sunride). Also, some bands that I don’t know anything about like Gonzales (Belgium), Cowboys and Aliens (Belgium), Elepantum (Holland), and Dexter Jones Circus Orchestra (Sweden). This is a damn good compilation if you want to get turned on to some of these bands and if you are a collector, there are exclusive tracks only on this compilation (so far) by Spiritu, Astroqueen and Firestone. What are my favourite songs on the CD?? Well, I really liked the Astroqueen (Other side of Nothing), WE (Lost Crossroads Found), and Greenleaf (Black Black Magic). For more information you can visit the Fuzzorama Records web site at: http://www.fuzzoramarecords.com.